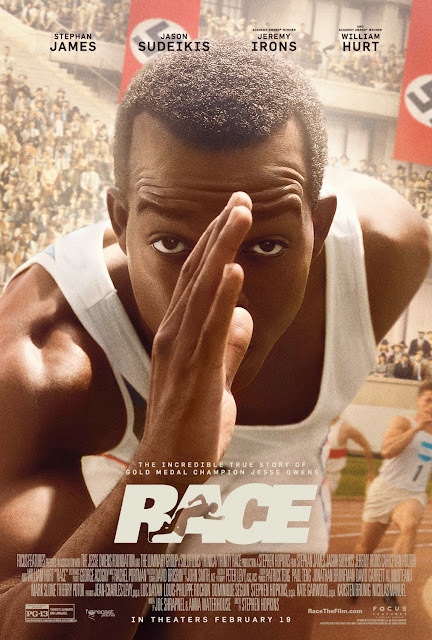 In the 1930's segregated United States, Jesse Owens (Stephan James) becomes the first person in his family to go to college. At Ohio State University, Owens starts breaking records in track and field as his coach Larry Snyder (Jason Sudeikis) trains him with the goal of competing in the 1936 Olympics in Berlin. However, Nazi Germany's politics may cause a US boycott of the Olympics itself, and political pressure on Jesse from the NAACP may keep him from his dream of being an Olympic gold medalist. There is something wrong with the entire look of this film in general. When looking at other recent films like "Carol," "Eddie the Eagle," and "The Witch," the striking thing about them is they genuinely look like they were made in the time periods they represent, the 50's, the 80's and the 1600's. 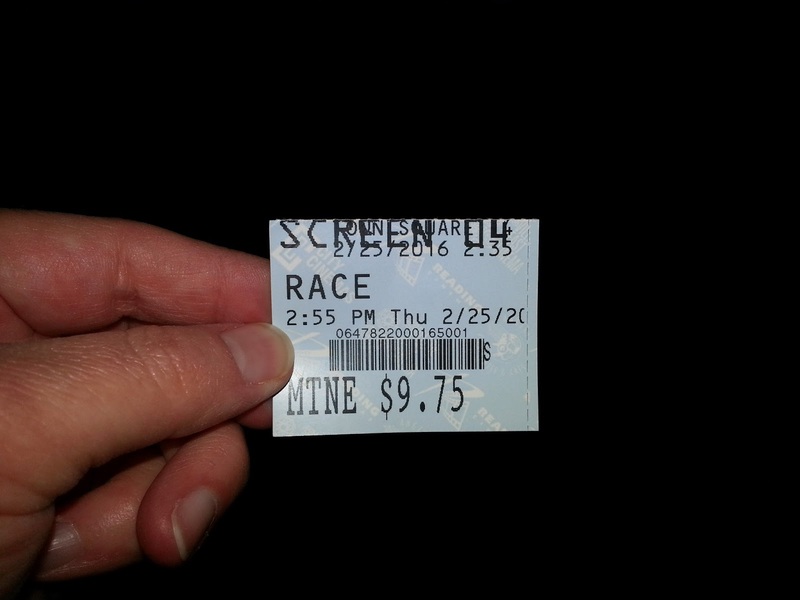 This movie doesn't really feel like it takes place in the 1930's apart from nazi banners strewn about in Germany, segregation signs in restaurants and buses, and the casual use of the "n word" to make us feels like we're in a segregated America. It seems like "Race" wants us to be inspired and shout "USA! USA! USA!" as Jesse Owens wins his gold medals, but it also wants us to go back and say, "oh yeah, but America was a crappy place to be black, especially in the 1930's, maybe we shouldn't exactly be cheering for the USA." There is something wrong with the focus of the story as many parts just seemed glossed over, leaving us with only a very surface level understanding of the characters and situations. The acting is fine for the most part and there isn't a whole lot to criticize where the performances are concerned. Unfortunately, this also means there isn't exactly a whole lot to praise either. Stephan James plays Jesse Owens and does a good job. Jason Sudeikis seems to be trying to branch out a little and do more dramatic roles, but the part as Owens' trainer Larry Snyder isn't really meaty enough to show if he has real dramatic chops or not. He's still serviceable here and we had no real problems with the acting as a whole. At the end of the day, the story of Jesse Owens deserves better than "Race." While we appreciate the effort, it's a little too clean and a little too uninteresting to be truly captivating. It's a decent enough inspirational sports movie, but falls short of being as memorable as it probably should have been. "Get On Up" and "42" are the names of two much more interesting and engaging films from the last few years that you should pick over this one. One year ago, we were watching: "The Lazarus Effect"